The ideal stand for home or stage! 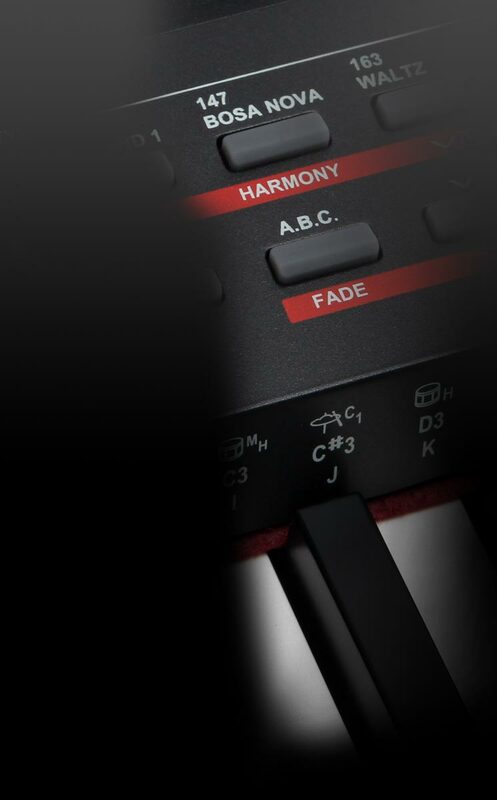 It provides non-slip grip, whether for keyboards, light stage pianos or synthesizers. 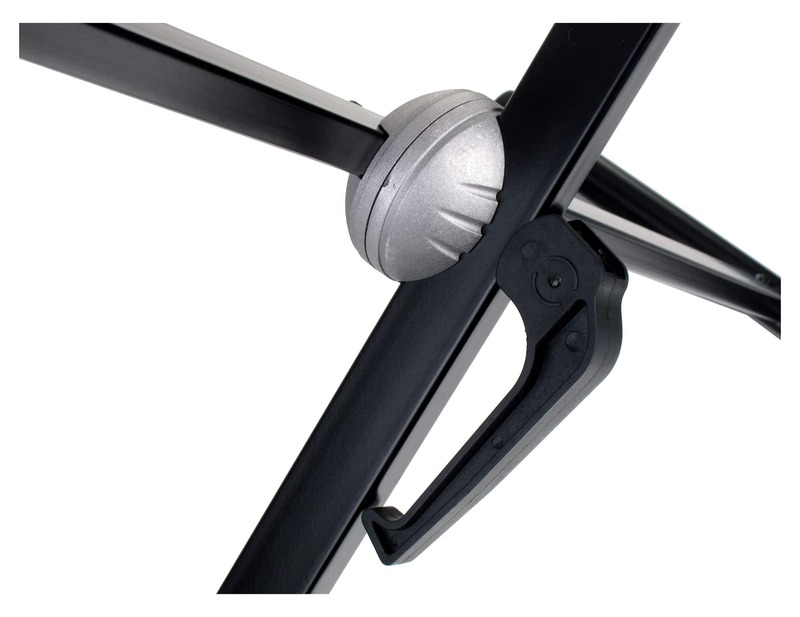 By adjusting the height, you can reach an ergonomic and comfortable playing position. 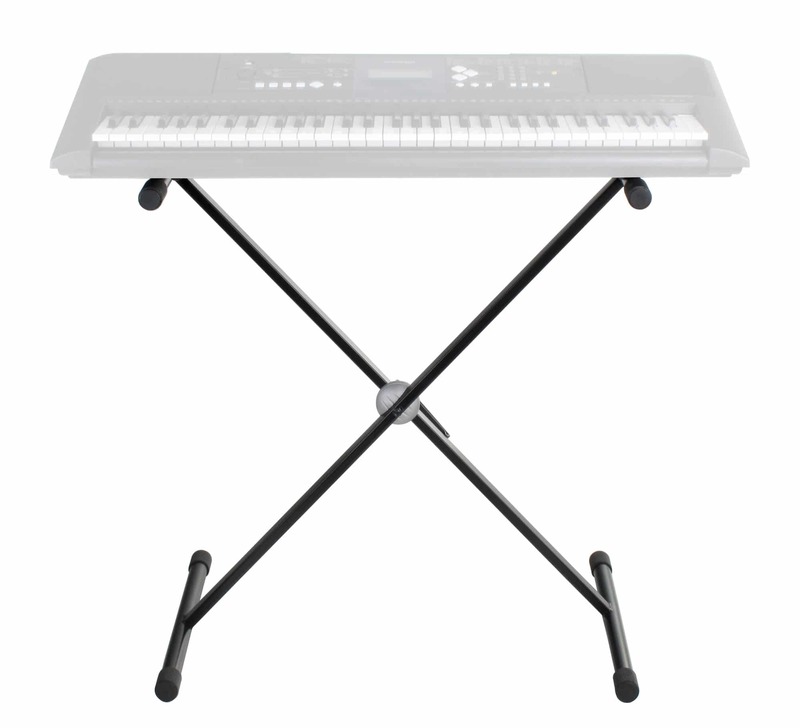 Stable keyboard stand for home or stage! Operable with one hand quick release, the keyboard stand is comfortable and easily adjustable to different heights from 55 to 85 cm. 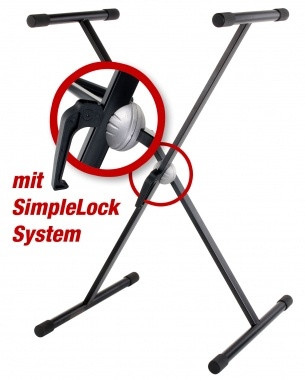 The robust rubber sleeves ensure that your instrument stays in place and free from scratches. For space-saving transport and storage, this X Keyboard Stand is easy to fold.